Presently, shooting of 'A..Aa' going on at fast pace. First look and teaser to come out this week. 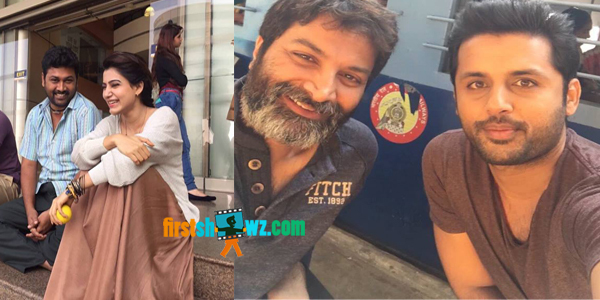 Starring Nithiin, Samantha, Anupama Parameswaran In lead roles, the film directed by Trivikram Srinivas is produced by Suryadevara Radhakrishna (Chinna Babu) under Haarika and Hassini Creations. For first time music composer Mickey J Meyer teamed up with director Trivikram and the family is billed to be perfect family entertainer.